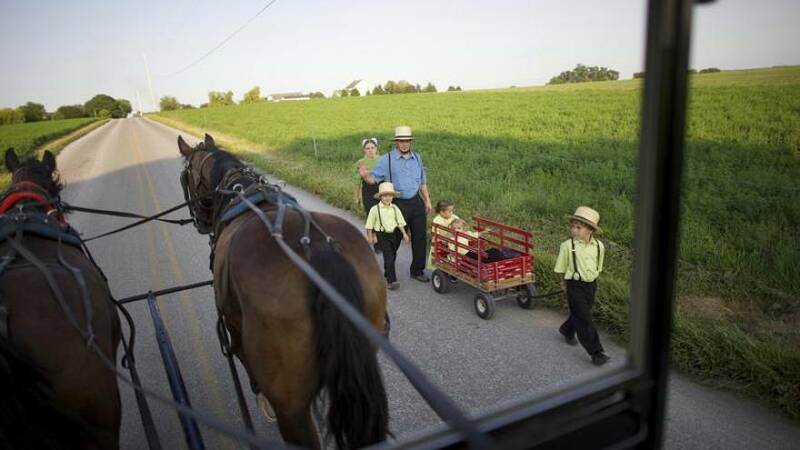 An international team of researchers just discovered a rare genetic mutation in the Amish community of Bern, Indiana, that both protects them from Type 2 diabetes and increases their life by 10 years, on average. Findings published in the journal Science Advances yesterday (November 15) relate to the presence of a protein called plasminogen activator inhibitor-1, or PAI-1, known primarily for its role in promoting blood clotting. Scientists have long speculated that PAI-1 affects ageing, diabetes and other metabolic problems, with previous studies in mice showing that animals with an abundance of the protein aged faster, going bald and dying of heart attacks at young ages. An estimated 5 percent of the Bern Amish community carries a genetic mutation, which causes them to produce unusually low levels of the protein. Dr Douglas Vaughan, a cardiologist and medical researcher at Northwestern University, took a team of 40 researchers to the town and carried out extensive tests on 177 members of the community, many of whom arrived on horseback. Their results were striking: Amish people with the mutation lived, on average, to age 85, which is 10 years longer than those who did not. The group within the community who were not carriers of the mutation saw a 7 percent rate of Type 2 diabetes, but for those who had it, the rate was zero, despite leading the same lifestyle and consuming similar diets. Carriers also appeared to be in better cardiovascular health and had 28 percent lower levels of the insulin hormone, which is elevated in diabetes. All this among members of a community who led the same lifestyle and consumed similar diets. Researchers do not aim to completely eradicate the PAI-1 protein, as it has an essential role in blood clotting. At least one follow-up trial is planned to further explore how the mutation impacts obese people with insulin resistance, which comes before diabetes.